At 66" x 36" x 22" this tub provides more length than the standard tub without overtaking the bathroom. 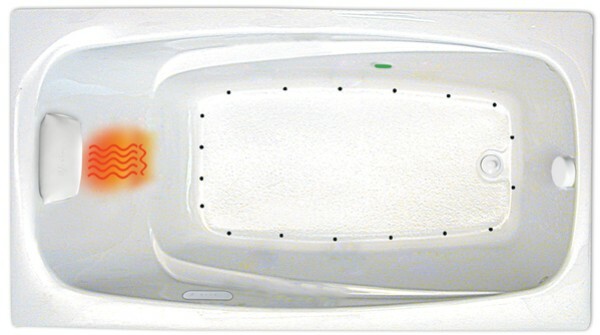 A rectangle tub with an end drain for installation as a drop-in. This bath is available as a soaking tub or heated soaking tub (Sooth Soak). For those that want a massage look to the air, whirlpool or combination jet tubs. The whirlpool will produce a deep tissue massage while the air a bubbly skin caress. 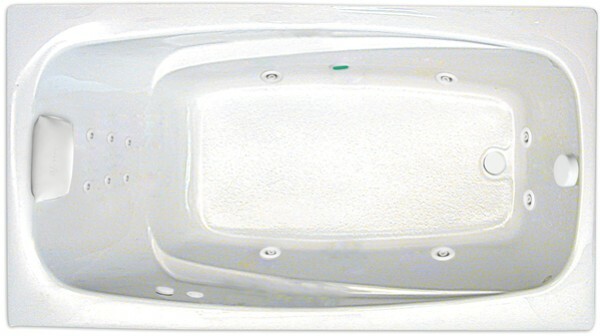 There are 11 styles to choose from so you are sure to find the perfect bathtub for you. Depth to Overflow (center): 16 1/2"